Featuring a mix of standard and more generously-sized briars, the Rossi Vittoria is a ruggedly rusticated series sure to please those with a taste for understated smokers with a touch of Italian charm. 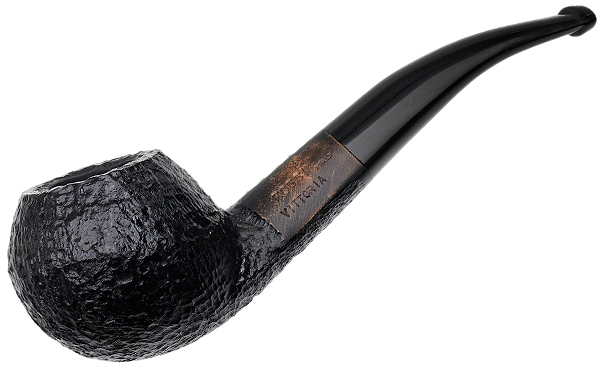 Wearing a stem of equally dark vulcanite, it's presented in a fine variety of straight and bent classic shapes. This bent Bulldog "8673" is a playful Italian rendition of the form, imbued with a triangular shank, and adorned with a crisp ridge about the equator in favor of the characteristic beadline.